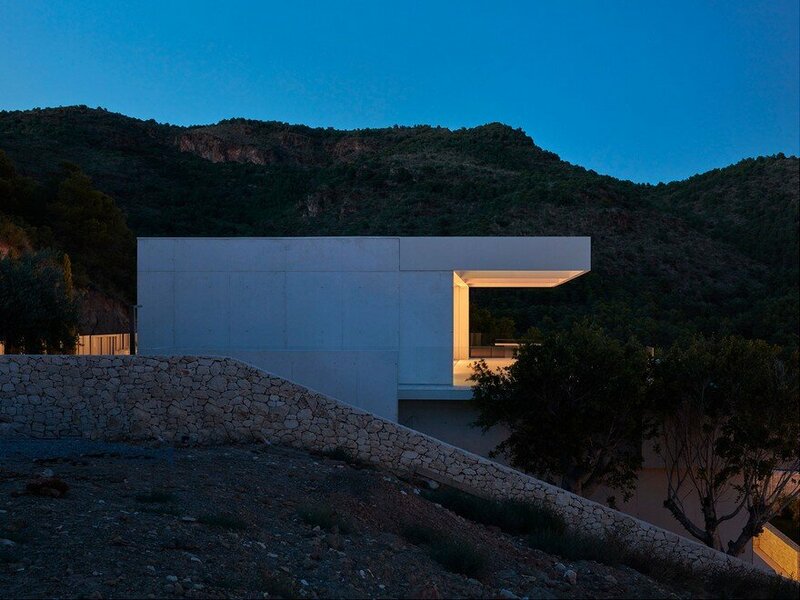 From the architects: Located on the top of a hillside, in one of the most established housing states of Valencia, the Quarry House is based on the extreme conditions of the ground with the aim of climbing the slope to get views to the landscape. 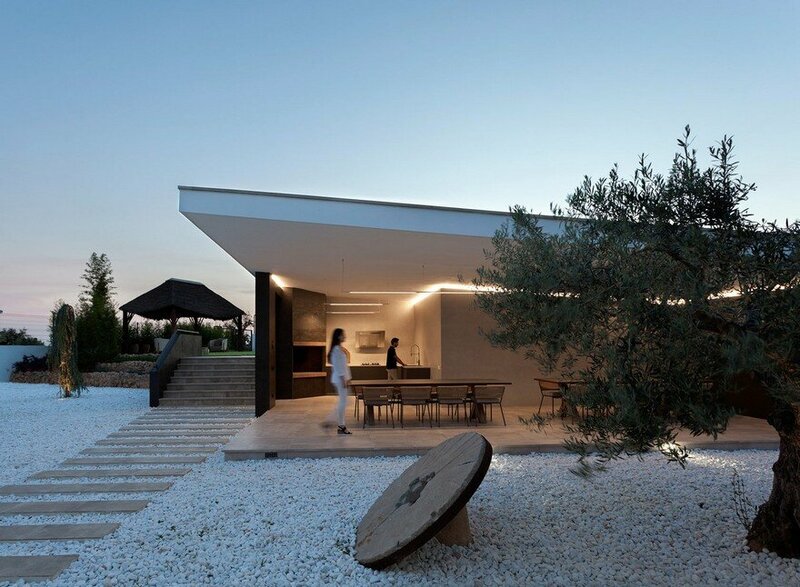 The layout of the house consists in a set of overlapping boxes surrounded by the ground itself. 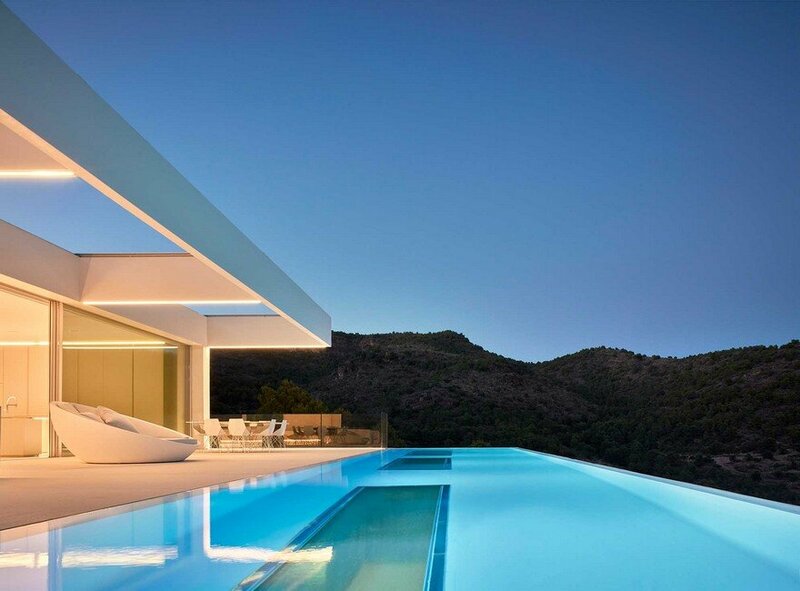 The house settles in the mountain using an empty space that isolates it from its direct surroundings, thus creating a universe of its own that hosts its inhabitants. 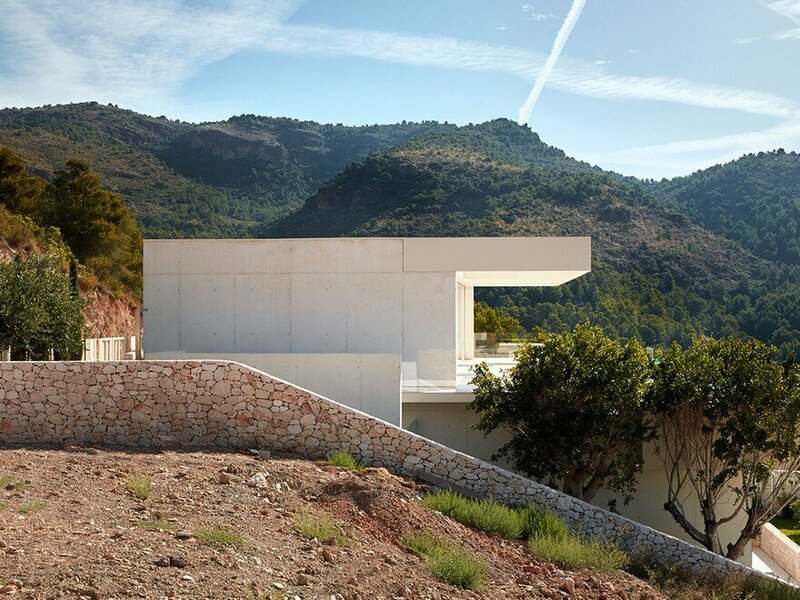 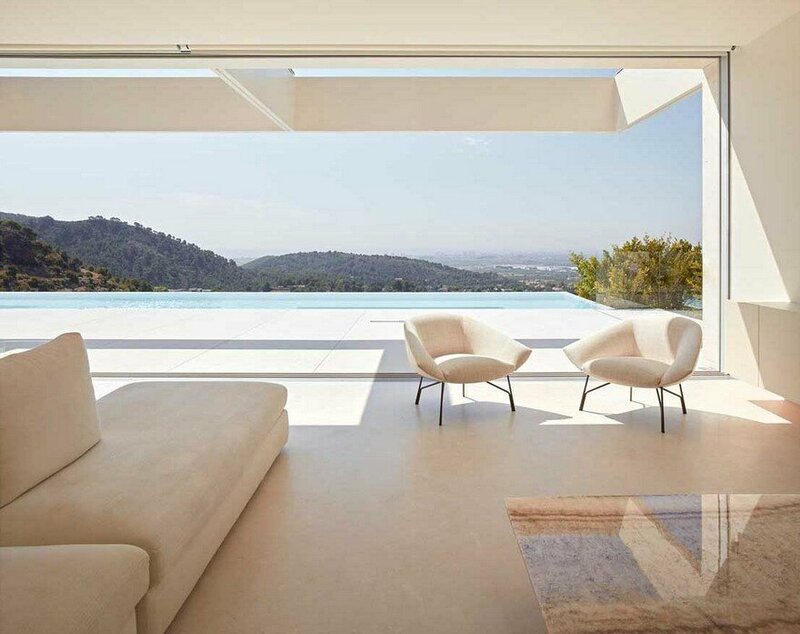 The lower part of the house hunkers down to get integrated in the ground while the upper part opens to two opposite sights: on one side, the views to the sea looking to the horizon filtered by the swimming pool; on the other side, the views of the Mediterranean forest. 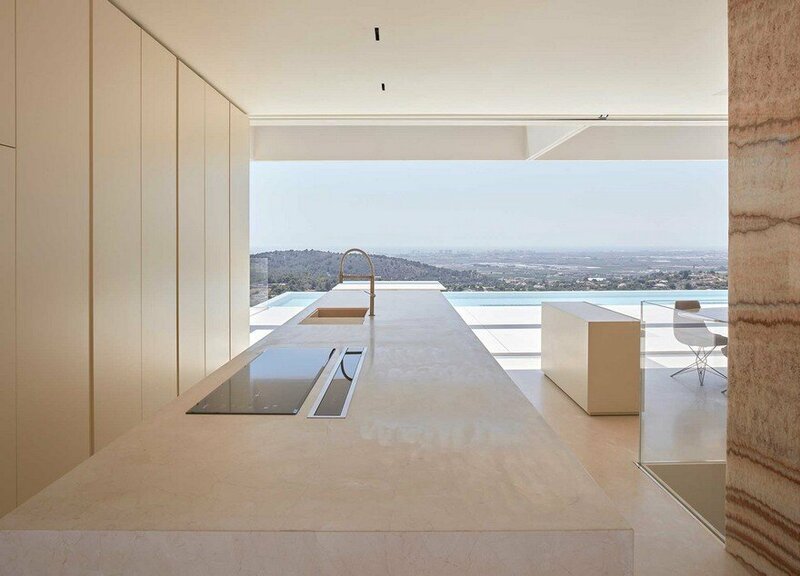 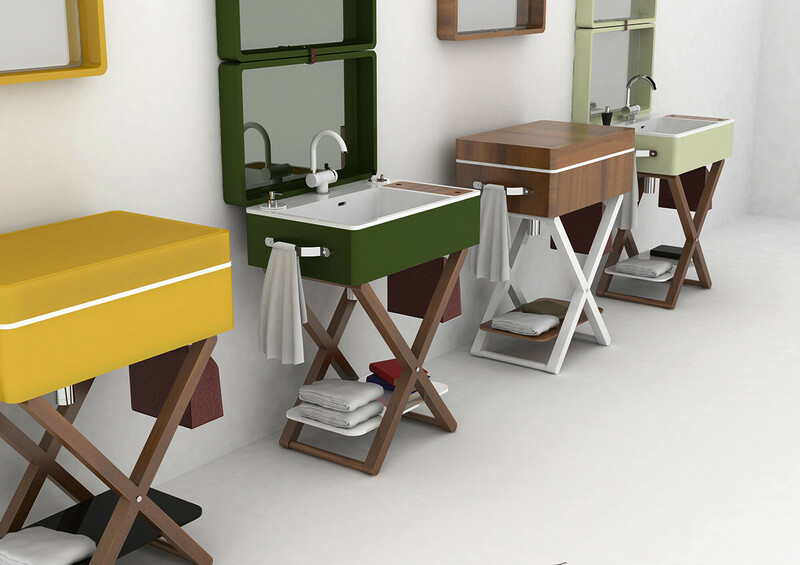 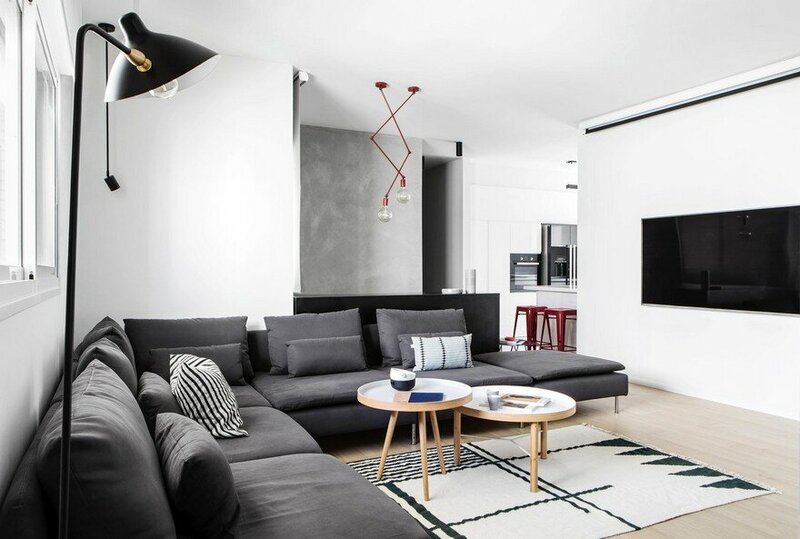 The upper part, designed as a fluid space, contains all the day areas. 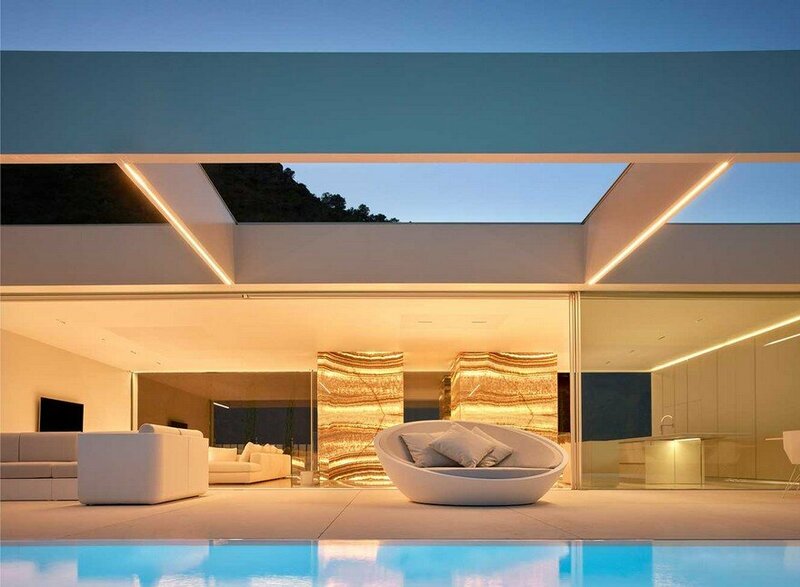 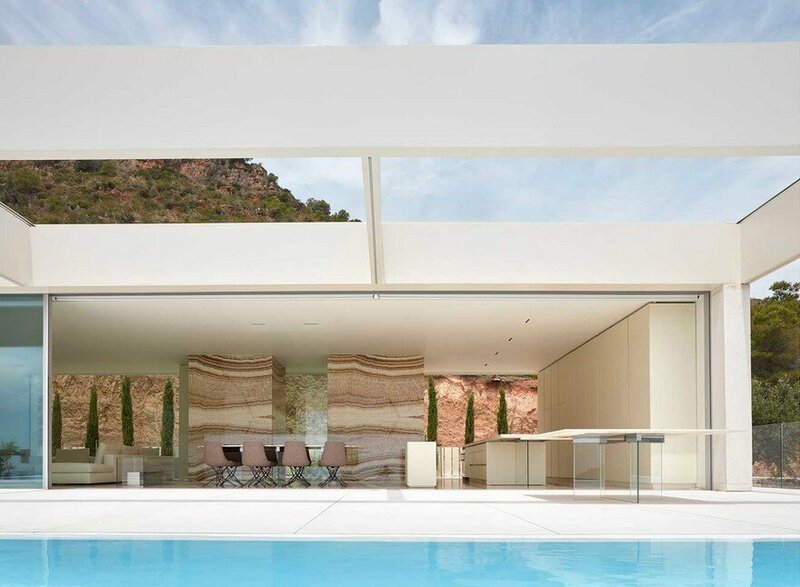 The terrace and the pool have been designed as an extension of the interior that connects the house with the landscape. 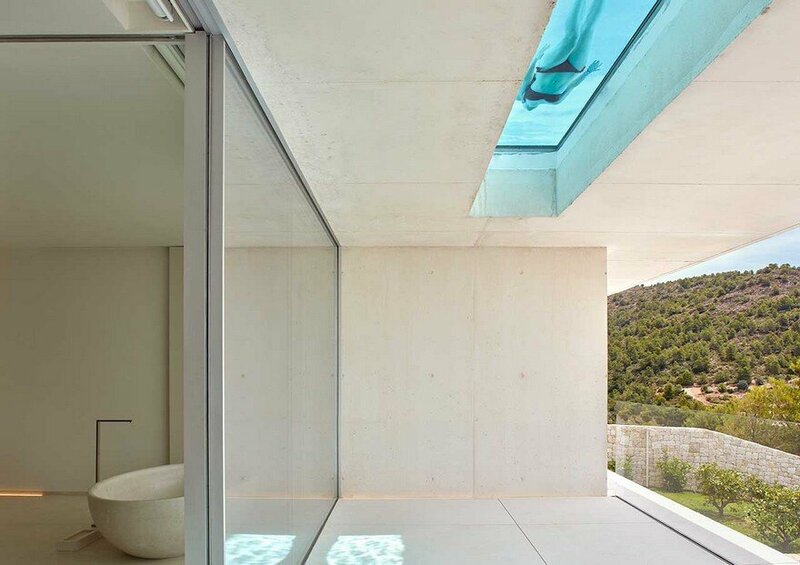 The swimming pool is a prism that extends at heights overhanging the bedrooms and the gym. 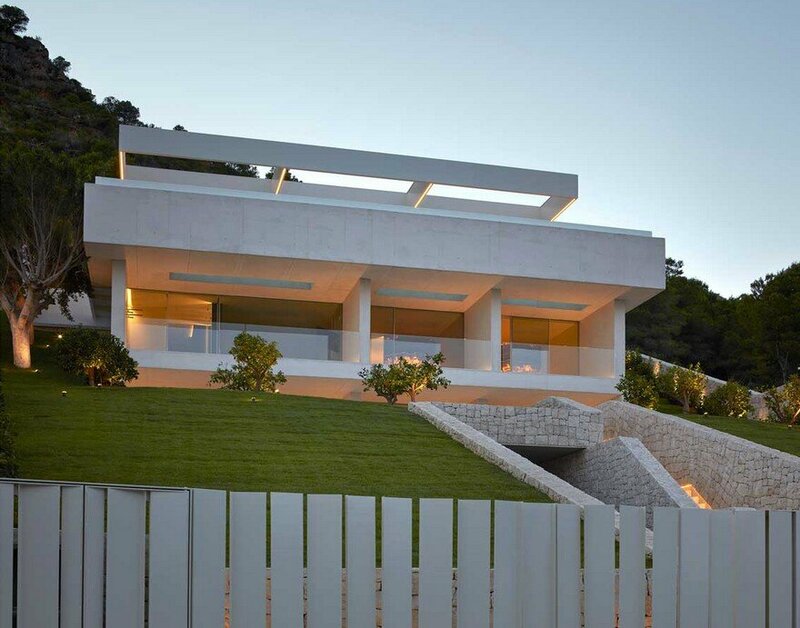 The openness of the house is reinforced by a glass front façade without uprights that frames the panoramic view of the sea. 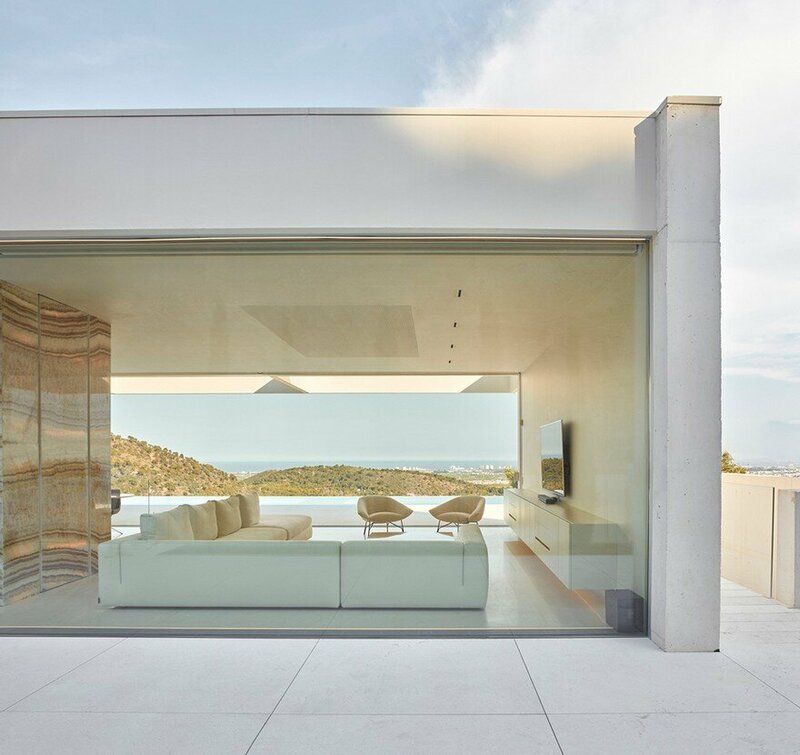 By opening the views to the front and resting only on the sides, the Quarry House achieves a feeling of lightness and transparency, thus becoming a quiet place and linking with the horizon. 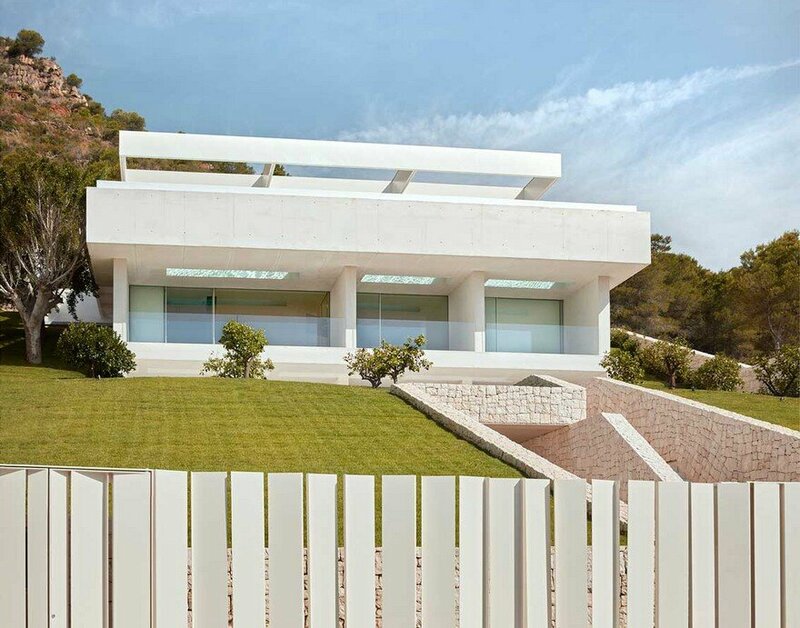 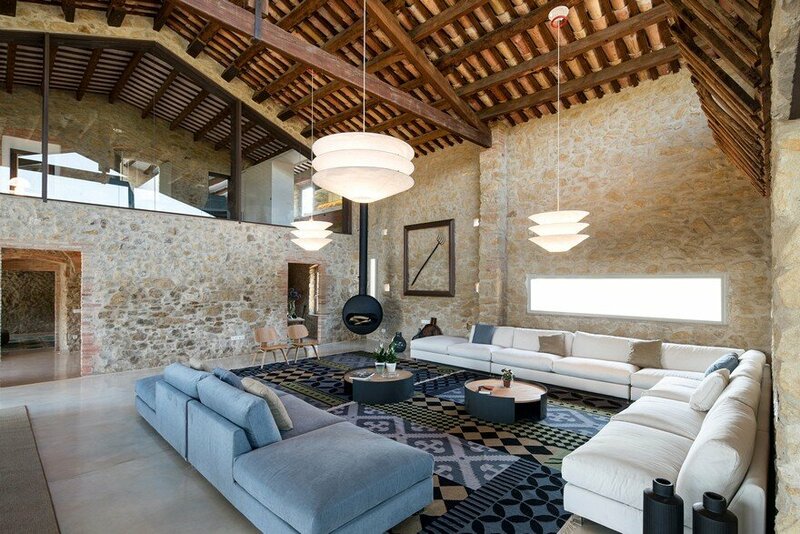 The expressivity of the raw materials shows the house as pure structure and mass. 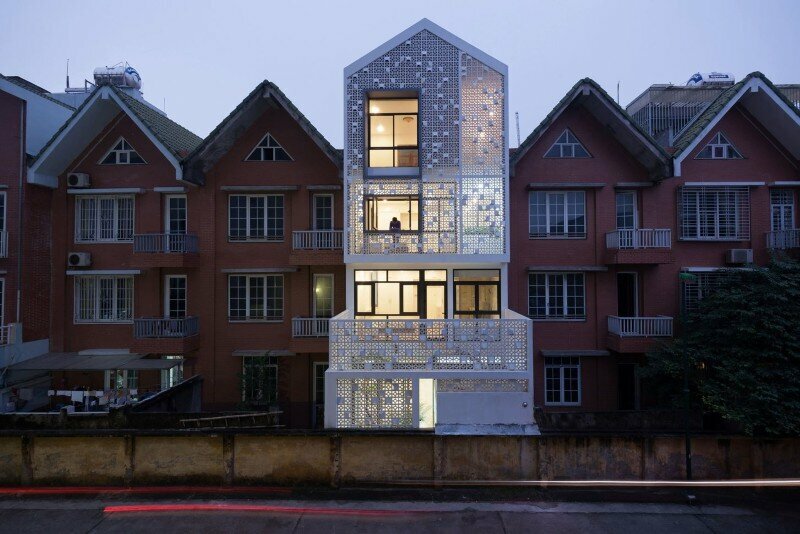 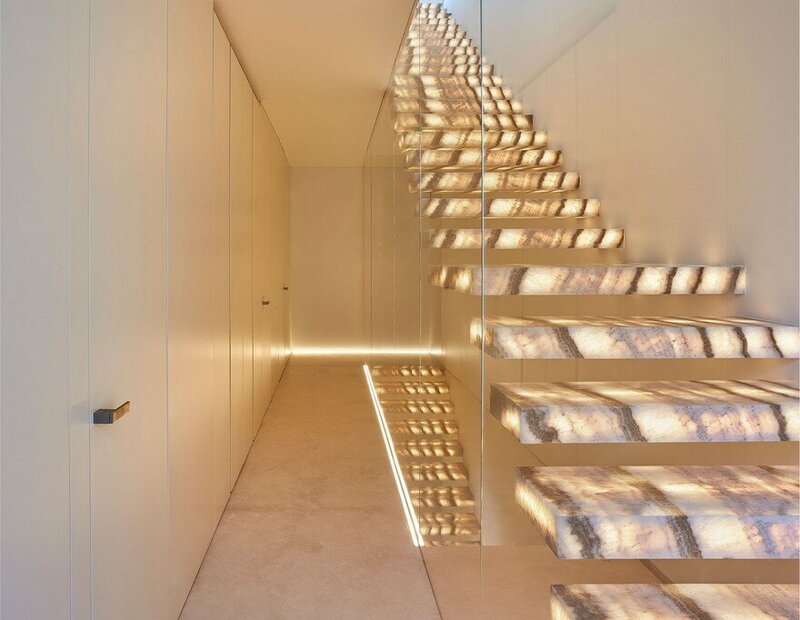 A hive of in situ white concrete is pierced by a central staircase of backlit yellow onyx Neve D’or that sew the house from top to bottom with its onyx steps. 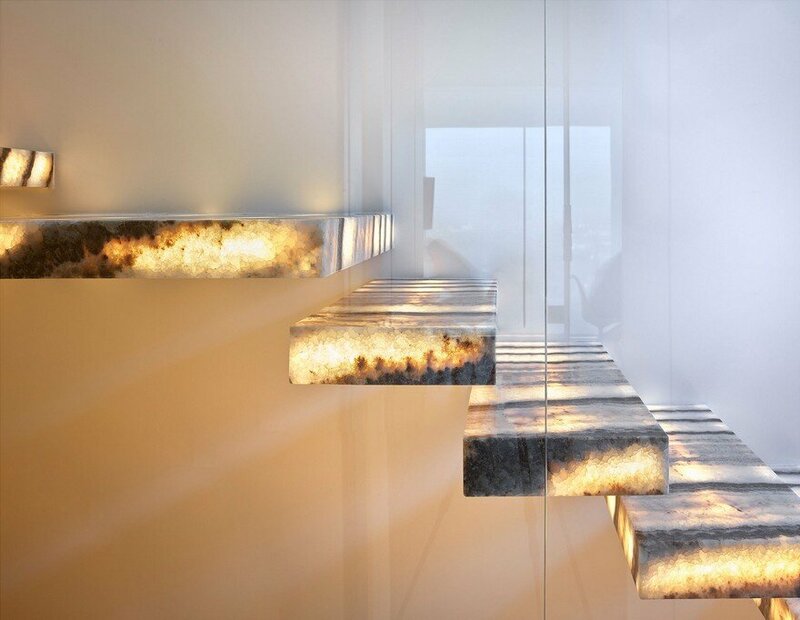 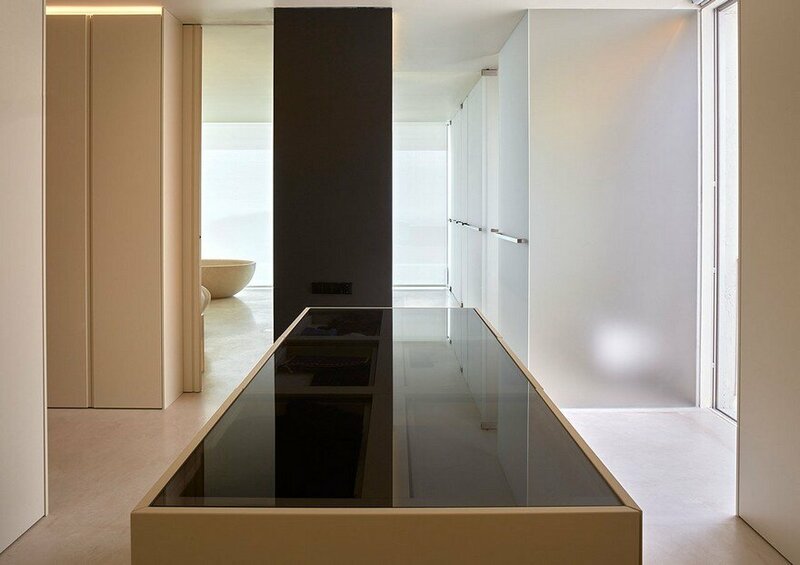 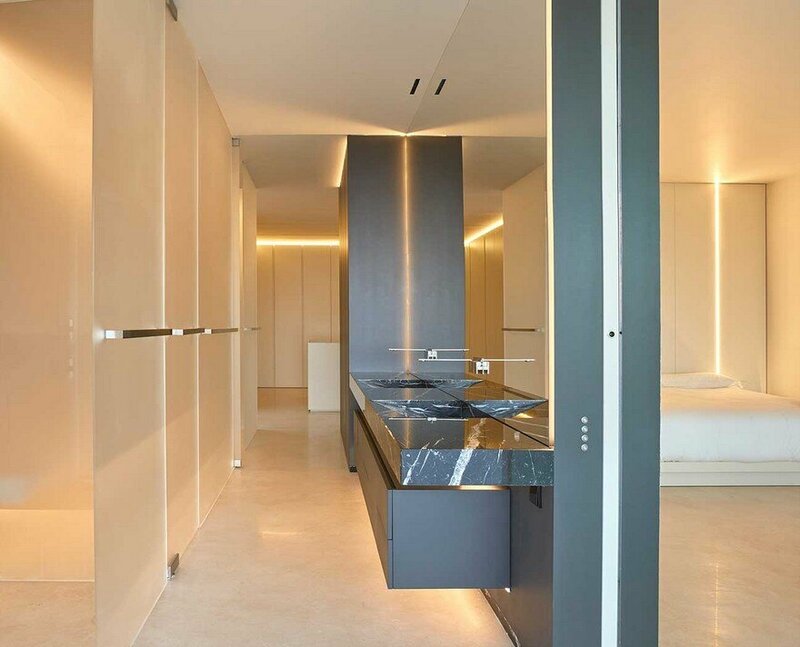 The overhang steps are expressed as large solid onyx boards that emit light all over their faces, this effect is produced due to a new patented design for its internal structure. 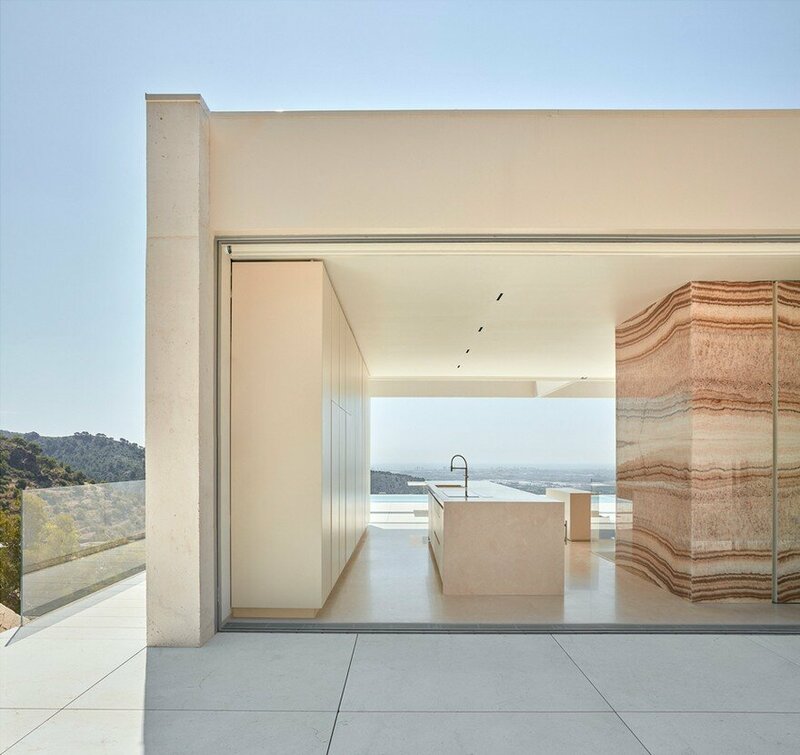 The large backlit natural stone slabs give the house a tectonic character metaphorically linking to the inner depths of the earth. 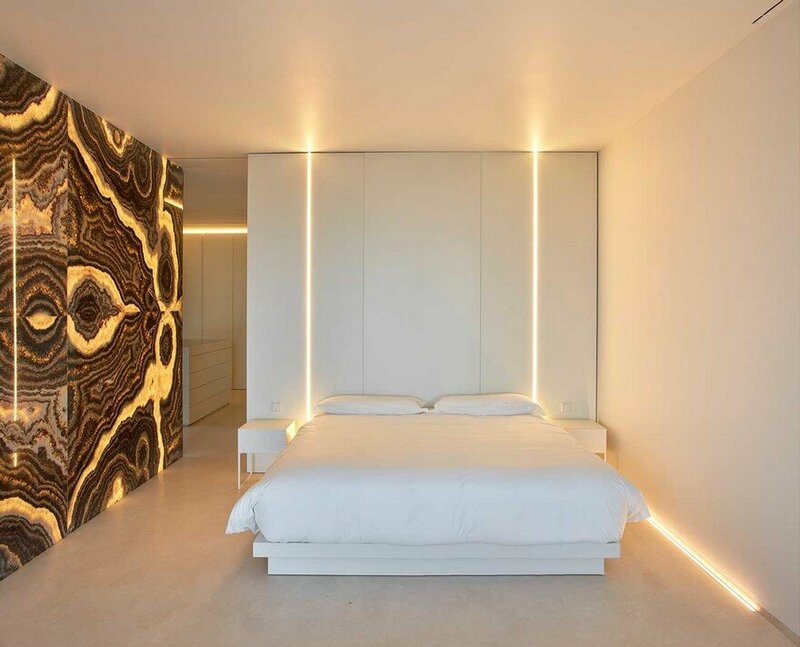 These pieces of volcanic onyx almost become sculptures, providing the bedrooms with a canvass to admire the aesthetic qualities of the natural stone. 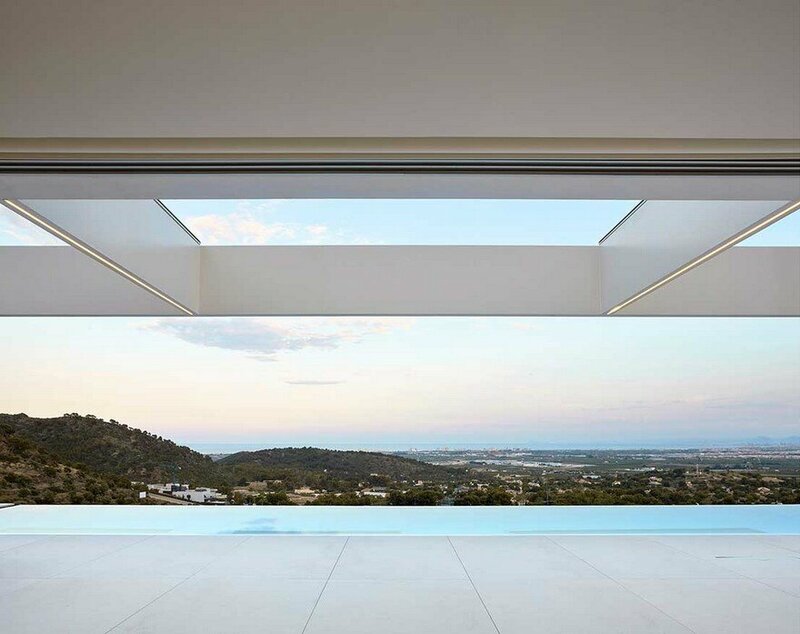 All the light of the facade, supported on the sides, creates a sense of lightness and transparency that makes Quarry House a serene location overlooking the horizon.